Electrical wire connector is an accessory with rapid development in recent years. With the globalization of the market, AI technology was born. Electrical wire connectors are widely used in every country, and the demand is very large. 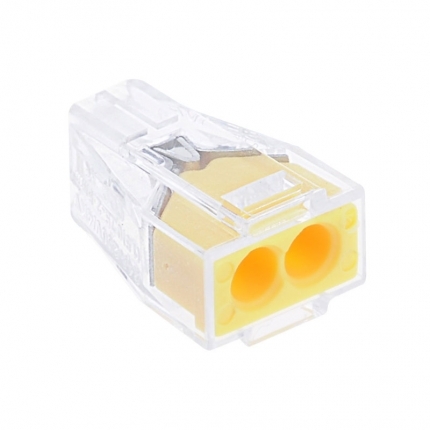 Since the reform and opening up, domestic wire connector technology has also been unprecedented development, and the market is expanding. As the largest consumer of wire harness and cable, China's market potential is also huge. Electrical wire connectors are widely used. For example, elevators, electric water heaters, and artificial intelligence products for children's toys, which are commonly used in daily life. Not only cables, but also cable connectors are available in many engineering instruments. With these connectors, accessories can be replaced at any time and service life can be increased. In the future development, electrical wire connector is a very important connecting device, which greatly facilitates the performance of the device and realizes multi-function. Globally, the share cannot be neglected. Should we pay attention to the security risks associated with the widespread use of these scenarios? The main causes of accidents are short circuit, fever or fire caused by electric sparks. Attention should be paid to the fact that the insulating layer of wire and wire, wire and switch, the terminal of wire and carrier, wire and shelter device is peeled off at this part of the connection point, resulting in the accident caused by the direct collision of the two wires. In the physical process of conduction, when the contact area is less than the conductor area, it is easy to cause excessive heat fever of the joint, which will cause the burning of combustibles around the joint and become a fire accident. Then, what are the reasons for the excessive contact resistance of the electrical wire connector? (2) The connection of the wires with switches and electrical appliances through the wire posts. Because of the improper construction, there is no washer on the connecting Posts and the nuts are not tightened, which will also increase the contact resistance, lead to the melting of conductors and the dropping of molten beads into the still objects. In products, fire accidents are caused. (3) Copper wires and aluminium wires are not connected according to the prescribed execution methods. There are potential safety hazards. (4) Cores of wires are not twisted properly. Some wool wires (cores) warp out. Short circuit is formed after collision. Short circuit occurs after power is switched on. Fire accidents are caused. (5) No staggered connection of different phases of wires is formed. Short circuit between pulled and broken joints of wires produces electric sparks, which is prone to fire accidents. Some joints are of good quality during installation, but they will be loosened due to thermal expansion and contraction or long-term vibration. For example, the electrical circuit in a bridge head Castle often produces strong vibration when the vehicle crosses the bridge, which makes the connection of the conductor loosen gradually, the contact resistance increases gradually, and the heating becomes more and more serious, which leads to a fire. In the humid and corrosive gas environment, it is easy to form an oxide layer on the conductor (copper oxide appears on the copper conductor, and alumina is more easily formed on the aluminium conductor). The conductivity of this oxide is very poor. For example, in the electroplating workshop of a factory, the conductor is corroded by acid gas for a long time, and the conductor forms oxide layer on the surface, which results in the increase of contact resistance, high temperature after electrification, and even red conductor in serious cases. Fortunately, the discovery was in time, and eventually no accident occurred. On construction sites, in threshing mills and other open-air areas, soil and dust often infiltrate the junctions of conductors, affecting the contact between conductors, overheating the junctions and causing combustion of nearby combustible objects. Some electrical fires in the threshing mill are the result. Frequently used wiring should be pulled by the whole wiring, and no joints should be left in the middle. In addition, in important places, such as the stuffy roof of the house, do not have joints. (1) Wire connections should conform to specifications. Increase the contact surface of the wire connection as much as possible. No hook connection is allowed. To connect with the terminal post, the multiple strands of wires should be tightened first, and the wool should not be exposed. The wires should be bent into a ring, put on the terminal post and cushioned with gaskets. The screw and Gong cap should be tightened. (2) Pay attention to the connection mode. The connection of large section conductor and aluminium core wire is easy to adopt welding method or pressing method (when pressing method can be applied with conductive paste), copper-aluminium transition joint is easy to adopt at the joint of copper-aluminium wire; thin copper sheet coated with tin can also be padded at the joint of copper-aluminium, or tin can be applied on the nose of copper wire, and then connected with aluminium wire. This method can reduce contact resistance. (3) Joint position is staggered. The joint of each phase conductor should be staggered, and the black tape should be wrapped outside the joint. For large cross-section conductors, yellow wax cloth or yellow wax silk should be wrapped inside to improve insulation performance. As the saying goes, " Prevent fire before it burns ". In electrical construction, attention must be paid to the above links to prevent fire accidents due to poor contact between electrical connections.